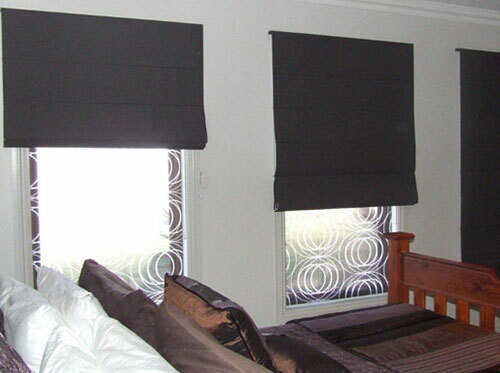 For a stylish look with a functional system, Roman Blinds are your ideal window furnishing for your Melbourne home. A Roman blind is a length of material which when drawn up, gathers into horizontal folds from the bottom. Romans are also referred to as Roman Shades and are usually opened with a cord mechanism, but in recent times made with chain operation allowing the user to adjust the height of the covered area. The control cord runs vertically alongside the blind either right or left, depending on accessibility or customer preference. Romans are all corded and come with standard cord lock, double cleats and brackets for hanging. 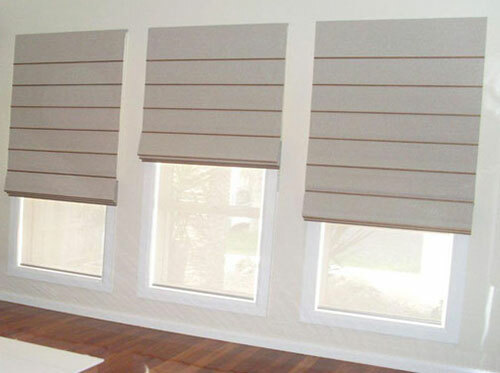 The Roman blinds cord mechanism runs vertically on the back of the blind, running through evenly spaced horizontal stiffener rods or eyelets, and then attaches to the bottom of the blind. The Classic Roman with aluminium back battens provides a very slim crease or pleat on the fascia of the blind, with an even crease repeated from top to bottom. 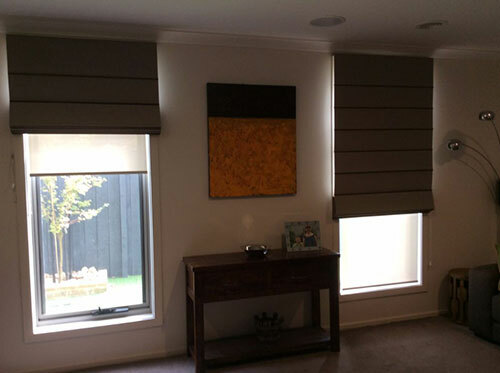 For a more contemporary look, Romans can be made with half rounded wooden battens on the front and rear of the blind. Achieve a modern look in your living room. Our popular range of romans include a casual elegant look, whilst some of our range consist of a designer look which is a popular choice for many homeowners. With a wide range of fabrics and colours, we know we will be able to fulfil the decorative look you are after for your home or office space. Visit our Springvale showroom for one of our staff to assist you with samples, colours and materials so you can get a real feel of what will fit best for your living space. Your new modern blinds will come complete with a warranty which will protect you from any product fails with normal usage. We will have it fixed or replaced, no worries. 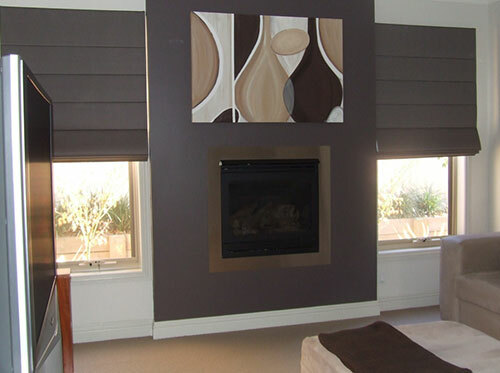 We are proud to service roman blinds to Melbourne and surrounding areas. Service areas including Springvale, Noble Park, Dandenong, Cranbourne, Pakenham, Clyde, and Mornington Peninsula.